That’s exactly what I did this past Saturday with a few other members of the In My Backyard Northwest team. 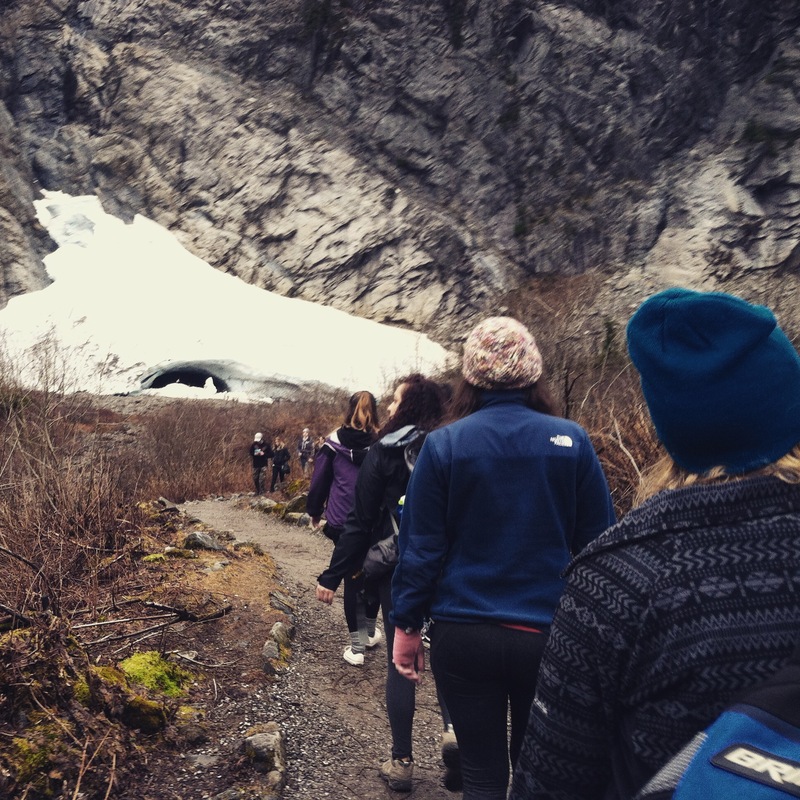 We decided to have a group-bonding trip to the Big Four Ice Caves at Big Four Mountain. My biggest concern was “What do I bring on a hiking trip?” I don’t own hiking boots or an appropriate backpack. Luckily I have an awesome team of experienced hikers and backpackers who filled me in on what to bring and provided me with a backpack to get me through the day. 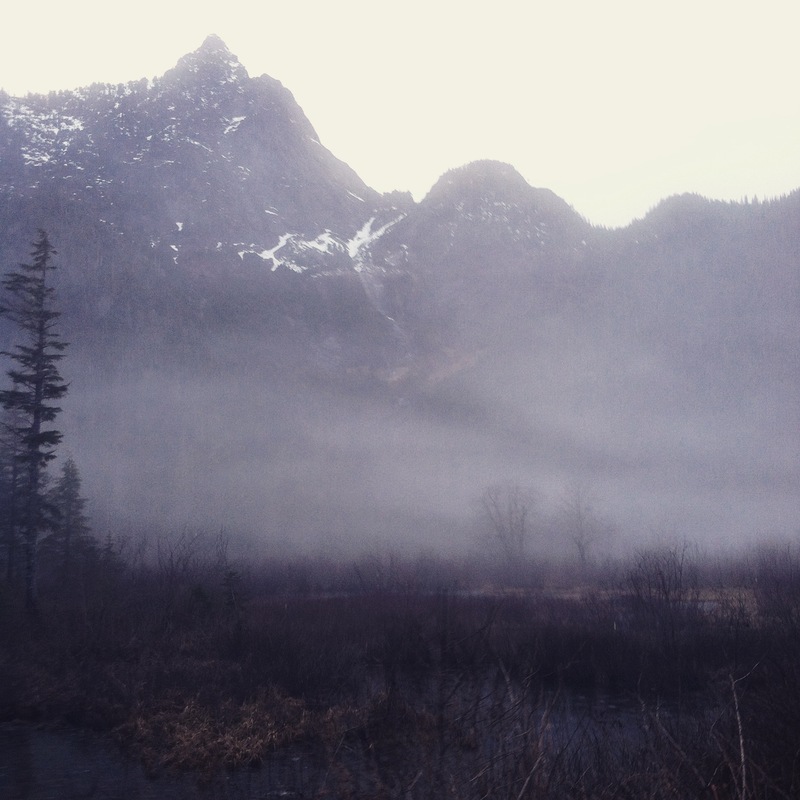 Big Four Ice Caves trail is an easy walk and has a boardwalk like pathway through some of the trail. It’s meant for all hikers no matter their age or experience. So a great “Welcome to Hiking” trail for me. The trail leading up to the valley where the caves are located is filled with nurse logs, bridges, tributaries, countless types of trees and plants, and on this particular day some low hanging fog, which made the whole experience even more beautiful. 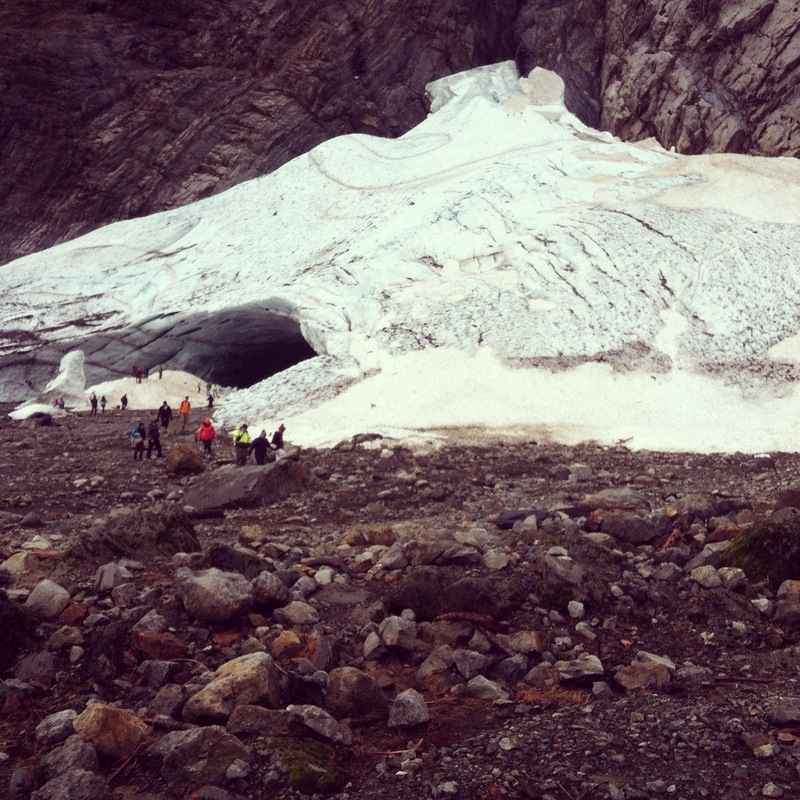 Once we got to the end of the trail, we caught our first glimpse of the Ice Caves (technically, there is only one cave now due to the recent avalanche this past month). For those who do not know, the Ice Caves are located under an avalanche chute and are formed from the melting snow and waterfalls from the mountain above. 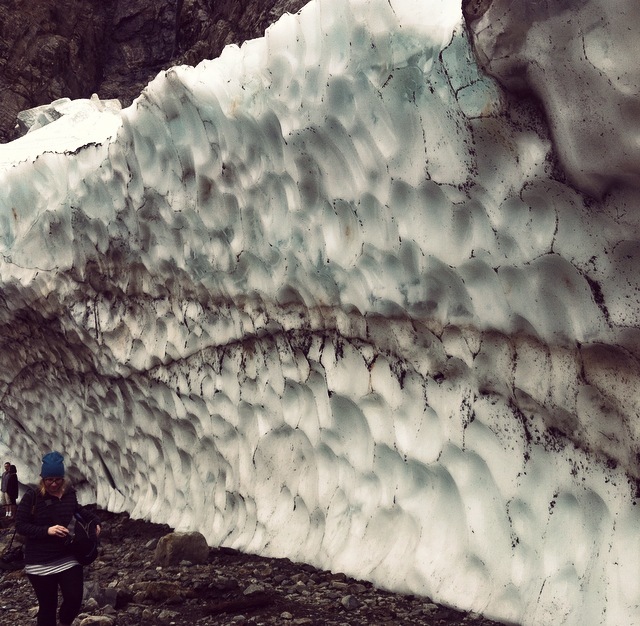 This area is also considered to be the lowest-elevation glacier in the lower 49 states. Words cannot describe all the colors and textures of this giant cave! It’s almost like we were in another world made of ice and snow. You can see the years of ice layered on top with dirt and rock with even more years of ice and snow. After a little group video, we ventured to the other side of the valley where several waterfalls flowed from the mountain. While some of the group climbed up a steep rock-covered mound, some of us stayed behind and people watched. It was nice to see so many groups of younger people coming to the caves without their parents. They can be doing so many other things on a Saturday, but they decided to make the day trip to Big Four and explore this amazing experience you can only find here in Washington. Seeing all these people exploring and having fun in nature really made me think about how important these nature trails, parks, historic sites, and museums are for future generations. These places scattered across Washington are amazing ways to learn and experience all that this beautiful state has to offer! This is definitely one of the most memorable experiences in my life. Getting to see an amazing work of nature just two hours from my apartment, while getting to know so much more about my IMBY team, is such a great memory. These personal connections and the experiences we have play such an important role in my own personal definition of sense of place. I told myself before moving her e that I wanted to be more active and experience Washington and all it has to offer. Big Four is definitely a great start! Hopefully this is just the beginning of many more “backyard” excursions and explorations throughout Washington!